We believe that the learning environment is everything when improving your technique or are totally fresh into surf. For this reason we keep our groups small. With a max of 5 people you will receive the attention you need to progress fast and achieve that manouver. Treat yourself to a small group lesson and take advantage of Troy’s 30 years experience of surfing the local beaches. Learn in a safe, fun environment. 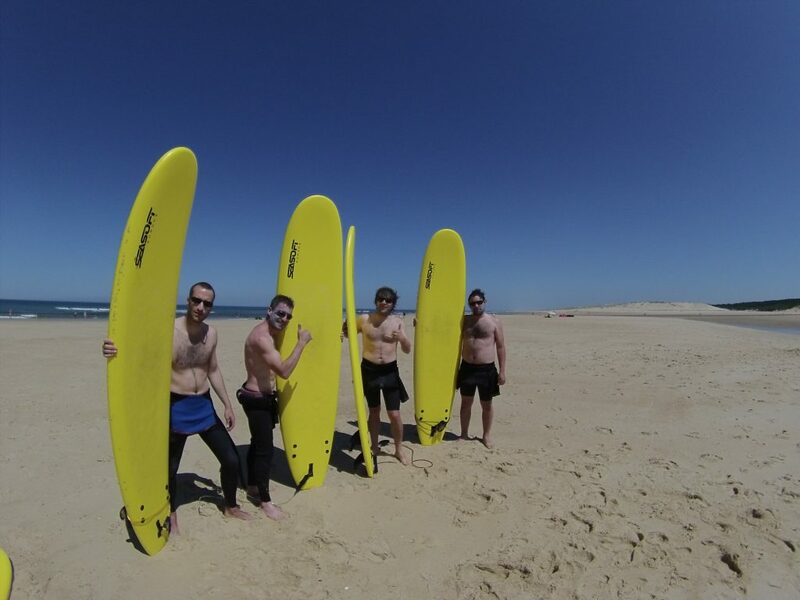 Contact us today and we will organise a custom group for you and your mates, or if you want Troy’s full attention for yourself we will arrange a private individual surf lesson. After a couple of hours of tuition Troy will have the majority of you standing and after a few lessons you should have a good enough understanding of the safety and technical aspect of surfing to go and enjoy it yourself.